Model and 3D print your very own museum-inspired creation! 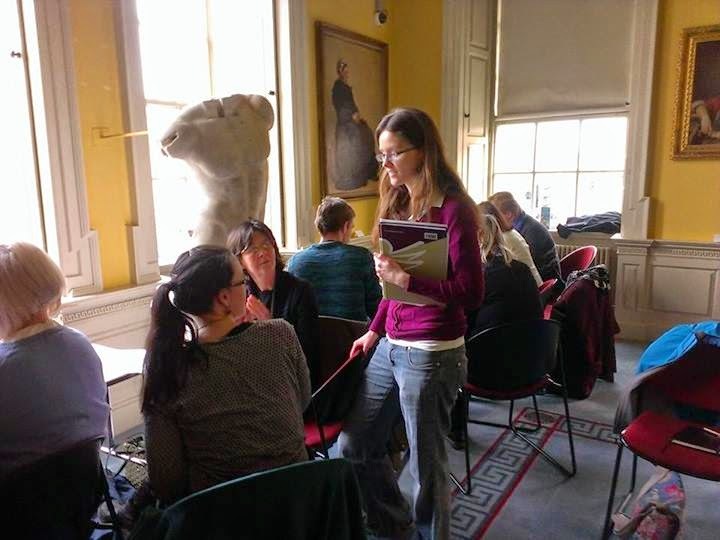 In response to a very popular event on digital technologies and museums held at the Hunt Museum in January, the meSch team from the Interaction Design Centre at the University of Limerick are facilitating anotehr workshop relating to 3D printing in museums. Emerging 3D printing technologies are providing different possibilities for engaging and interacting with physical museum objects. Through a series of three workshops, participants will be provided an overview of 3D printing in museum contexts and will also build and print their very own 3D creation! No prior experience in 3D printing is necessary. This event was organised by the meSch team at the in response to a very successful event focusing on 3D Printing and Museums held at the Hunt Museum in Limerick. Participants will also be given a tour of the Hunt Museum, which houses an internationally important personal collection featuring art and antiquities formed by John and Gertrude Hunt. The final printed creation will also be exhibited at this museum for a period of time! These workshops have been organised by the meSch team at the Interaction Design Centre in collaboration with the Hunt Museum and will coincide with the Limerick City of Culture 2014. Participants should be available on all three days. For more information on the event, contact laura.maye@ul.ie.